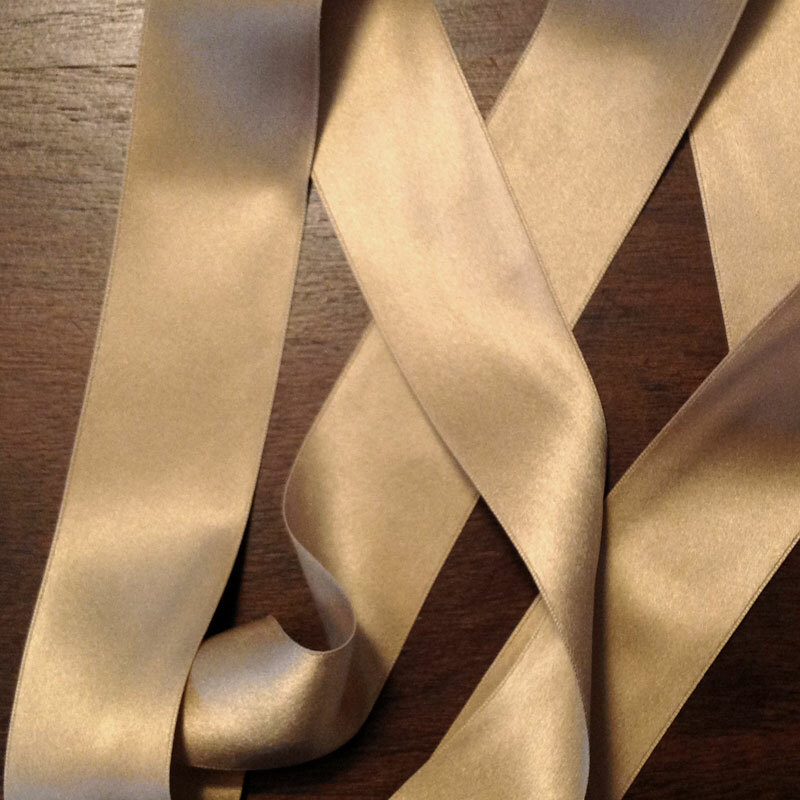 This hard to find silk ribbon is lovely and luxurious. It is 100% silk and has a double-sided satin weave. It is the perfect accent to your next outfit! Ask for a swatch.